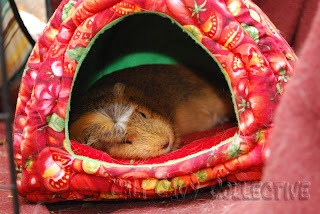 Truffle captured snoozing in the fleece hut. Doesn't she look like an angel with her eyes closed? 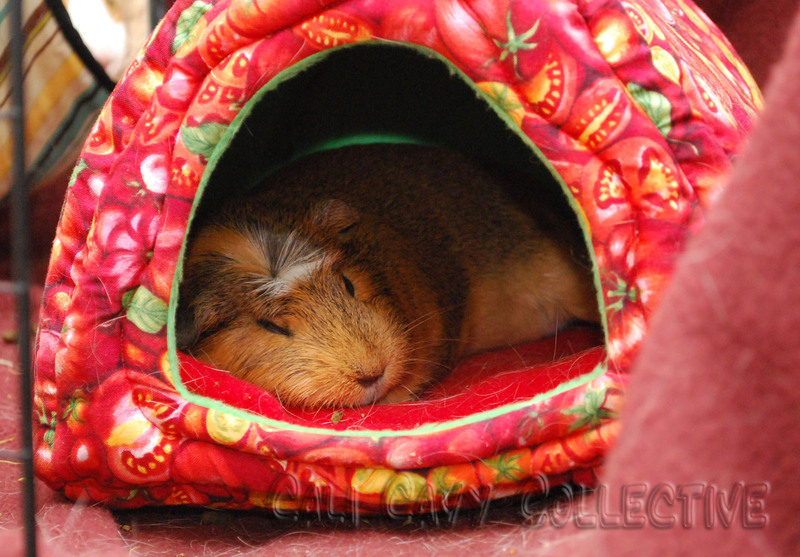 Meanwhile, Peaches can be seen swinging in the hammock behind the hut.